Their romance first began at Coachella 2017. And now Kylie Jenner, 21, and Travis Scott, 27, appear to be heading back to the place where everything began. 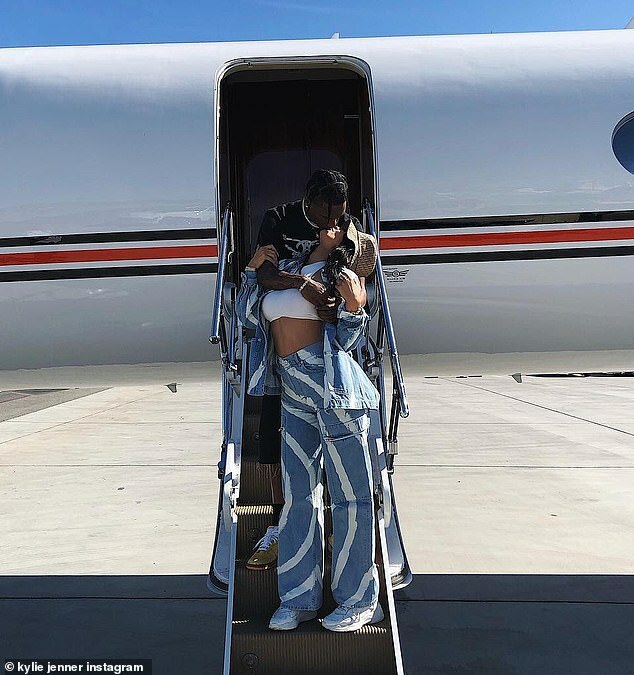 The parents of baby Stormi Webster were travelling in style, seen sharing a passionate kiss while on the steps of a private jet in a social media picture shared Saturday.